THE DRESS ~nothing can top this so we’ll start there.. This glam show-stopping gown is fit for a fairy queen. The intricate gems and beading on the bodice draws the eye upwards towards the bride’s face as well as creating a sleek cinched in waistline. 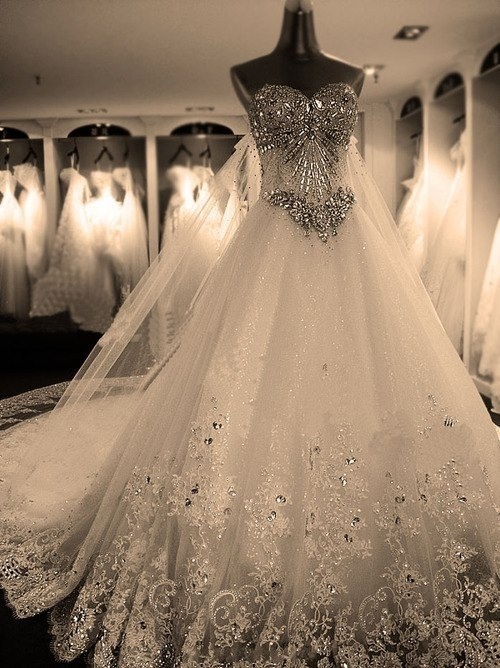 The ballgown skirt makes this every girl’s dream dress. DREAM TRAIN! Especially if you are having a simpler dress in the front or top portion, having a dramatic train is a gorgeous aspect. 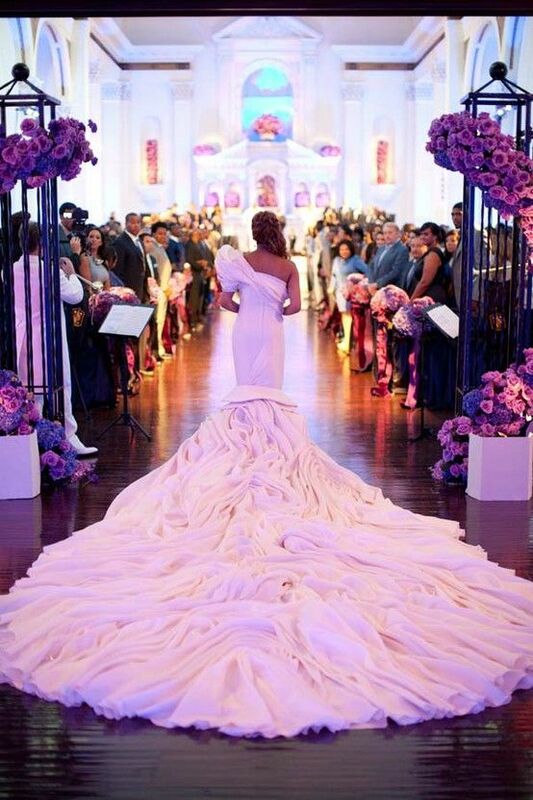 When walking down the aisle, this dress makes a real statement after you have passed them on your way to the altar. A ruffled train, almost mimicking the look of large rose petals, creates the ultimate drama! Another important item that you don’t want to overlook is the bouquet holder as it compliments the thought that has gone into the flowers themselves. 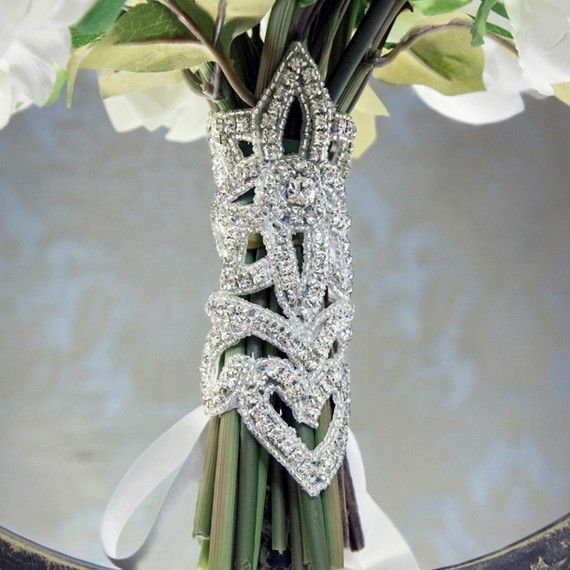 This sparkly gem will show off the flowers and appear like glitter in the bride’s hands. We cannot of course forget about the shoes….after you have chosen your stunning, yet comfortable heels, it is fun to add a little pizzazz. 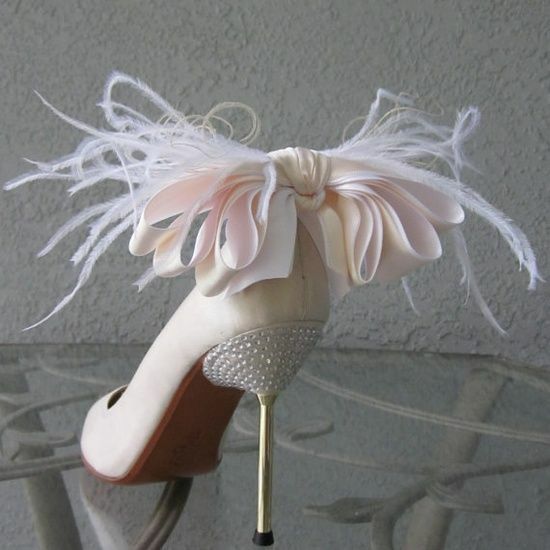 These clip on broaches can be added on later for the ceremony if you have an alternate dress and want to show off the shoes! If you are going with a more understated dress it is exciting to chose from the variety of fabulous veiling they now have available. 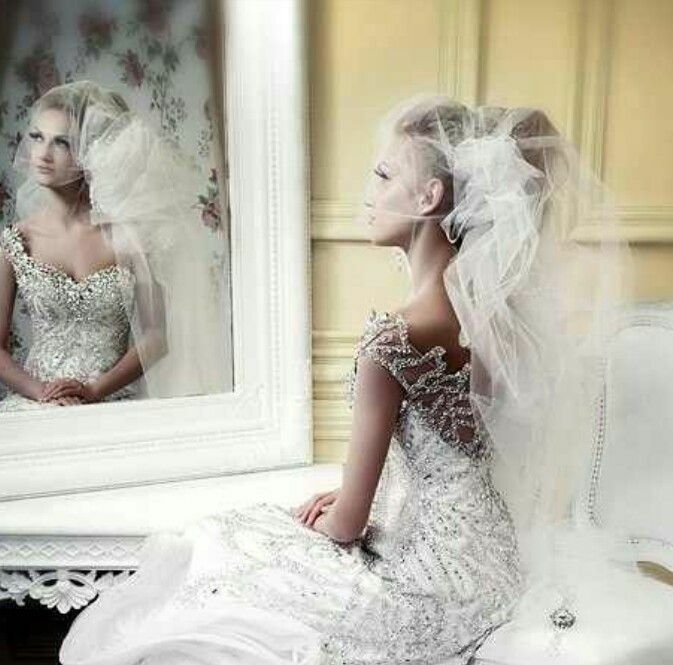 This particular veil is interesting how it is bunched to one side and now balanced creating an alluring effect. 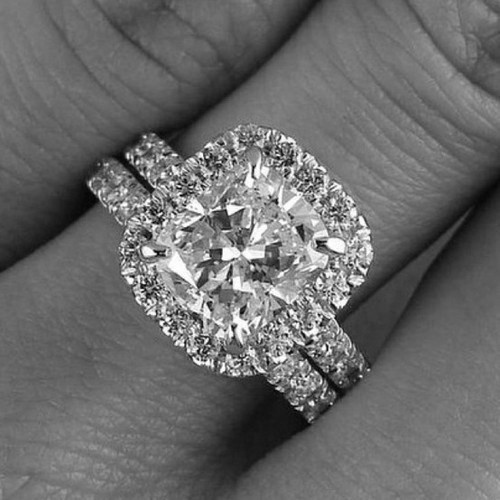 Now I know this may not be the bride’s decision but I can’t help but post this stunning ring!! The ring of course completes the wedding day’s outfit.